But is it now time for Black to tip his king over and give the point to White? No! Black can still draw with a deceptively surprising method as we shall see. 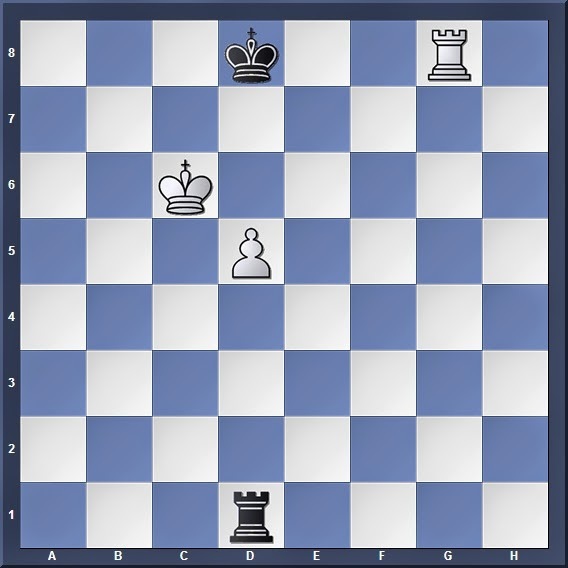 Remember how a long time ago (http://nushsblackknights.blogspot.sg/2013/12/revising-basic-rook-endgames-part-1.html) I told y'all to forget about the Rh1 maneuver because it is too difficult to draw? But now, Black has no other choice... so seems like we'll have to pick up this skill anyway! After 3. Kd6 (hoping for 4. Rg8#) Rh6+ Black retakes the 6th rank for himself. The critical move to drawing this game. 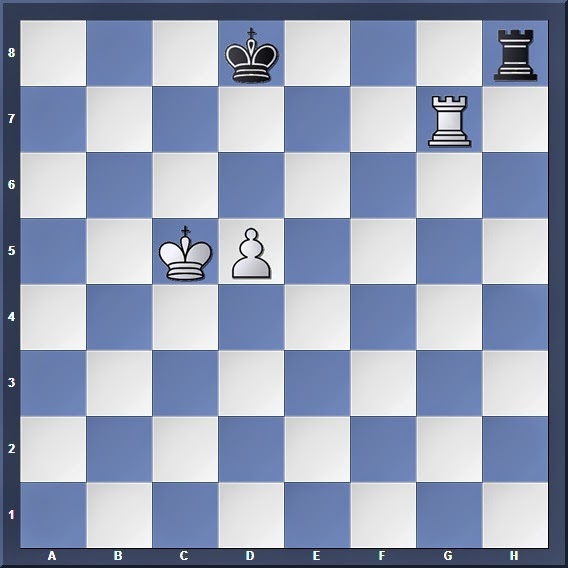 Apart from the fact that it places the rook behind the pawn, we shall see later why this move is so important! 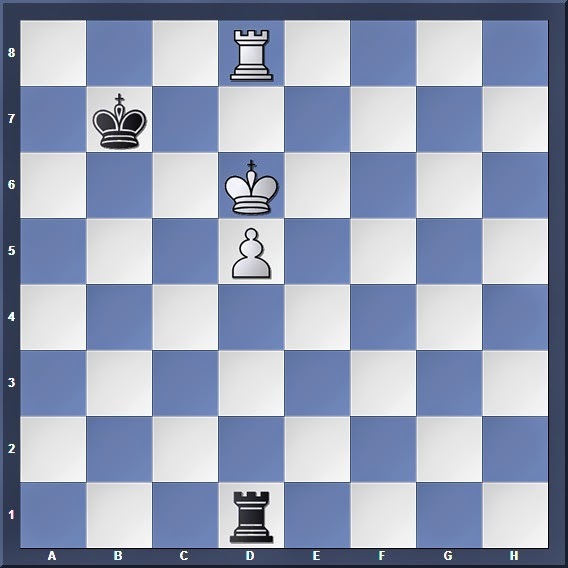 Demonstrating the strength of 3... Rd1: White now cannot play 4. d6 for fear of 4... Rxd6, while 4. 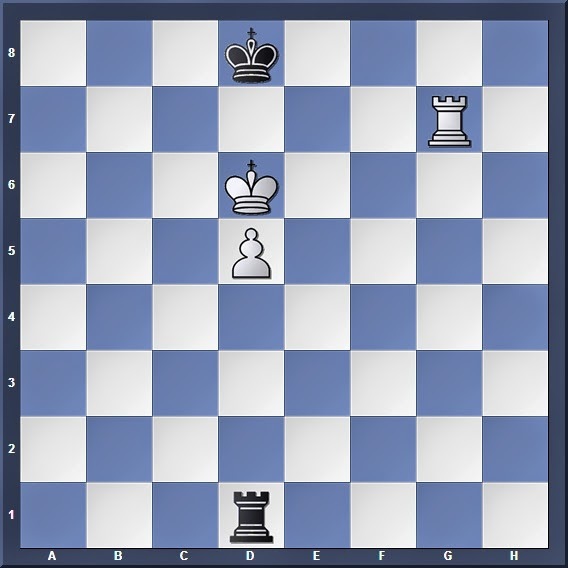 Rg7+ Kd8 simply repeats the position. And we're back to where we started. Since White can't make any progress, both sides can agree to a draw. See? I just switched the ranks of the Black king and both rooks and everything suddenly becomes so different: Now White can win if he has the move! Or 1... Rf8 2. Ra7! (demonstrating the power of active rooks over passive ones) 2... Rf6+ 3. d6 Ke8 4. Ra8+ Kf7 5. 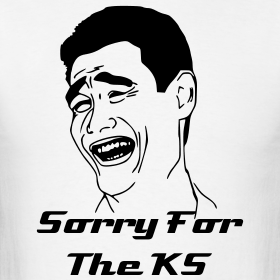 Kc7 Rf1 6. d7 Rc1+ 7. Kd8 with an upcoming Lucena Position. White must not allow Black any chance to play Rd1! 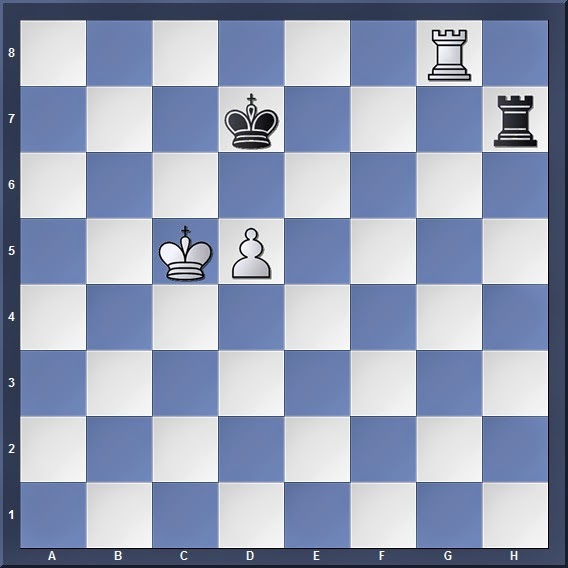 And from there onwards it should not be too difficult for White to set up his beloved Lucena Position. I hope y'all are following well with these interesting variations of the Philidor Position! In any case, I must pause our journey here for now, since many of us have to prep for our upcoming exams. 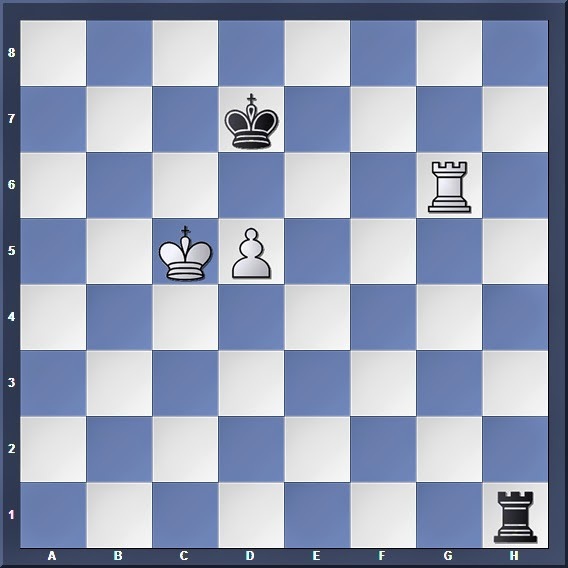 I may continue to post some puzzles or other interesting stuff that I may wish to share with everyone up here, but we can only resume our study of rook endgames after our exams are over.